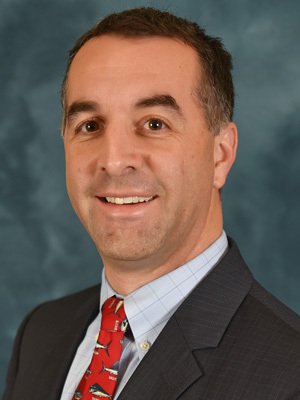 Dr. Cairone joins Mercer-Bucks Orthopedics after 9 years in private practice in Bucks County. He is board-certified in Orthopedic surgery and received fellowship training in spine surgery from the University of Pennsylvania. Dr. Cairone lives in Wrightstown, PA with his wife and 3 daughters. He serves on the board for Council Rock United Soccer Association and is also been appointed as the director of injury prevention. He also coaches two teams for the soccer club. In addition, Dr. Cairone is a professional fishing boat captain. He gained his OUPV license in 2003 and frequently travels 90 miles offshore looking for tuna, marlin and sharks. "I can’t say enough about the care and treatment I recently received from Dr. Stephen Cairone from Mercer Bucks Orthopaedics. Seriously, I have found Mercer Bucks Orthopaedics to be a wonderful group to work with (Dr. Eingorn, Dr. Kleinbart, Dr. Crivello, and most recently Dr. Cairone) and will continue to recommend them to my friends and acquaintances whenever conversations lead to Orthopaedic care issues." "From the moments of being prepared for my surgery Dr. Cairone and his team treated me with such great respect and care, there was someone always by my side and when it was time to roll in they talked to me until I was asleep. I woke up to someone making sure I was okay. I followed up with Dr. Cairone two weeks after my surgery where again he made sure my healing was a priority and saw that I received appropriate time off from work to heal along with setting up my physical therapy appointments for me. Being in the military (Air Force) having a doctors approval for the month plus time off was crucial. At day one when I first met him I knew this was the right decision he gave me better care than I received on base. You see I had the injury over a year ago while I was deployed and the doctors at my deployed location just didn't really treat me all they did was give me muscle relaxers and motrin saying I was just having back spasms and after being in the desert for eight months I returned to my duty location and my doctor here immediately tried to send me to physical therapy with no other treatment...I did eight months of physical therapy already while I was deployed for two months...Dr. Cairone didn't try to brush me off or offer a quick fix or pains medication, he actually took time to see my MRI's that I had to fight to get done when being seen on base and from that moment he knew I needed surgery. If it wasn't for Dr. Cairone and I am sure I would still just being taking pain medication and doing physical therapy for my two herniated discs and a bulging disc. Thank you so much Dr. Cairone for treating me like a real patient and helping me recover!" "My experience with Dr. Cairone was excellent. I had been losing sensation in my lower legs and was told that I needed a dorsal laminectomy to deal with a progressing spinal stenosis. As a professor of biomechanics, I am well aware of the procedure and sought opinions from a number of sources. A highly regarded knee surgeon recommended that I meet Dr. Cairone. I was immediately impressed with his professionalism and his explanation not only of my surgery, but of my expected recovery. He offered a comprehensive overview that gave me confidence in his skill. I highly recommend Dr. Stephen Cairone."